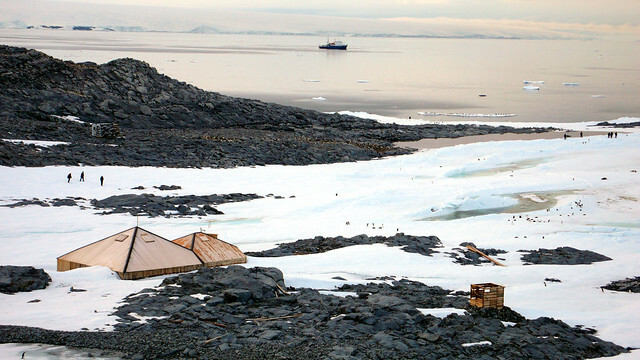 Finally, two massive icebergs that have been blocking ship access to historic Mawson’s Huts in remote Commonwealth Bay, Antarctica, have broken up and shifted, enabling Chimu Adventures to run the first commercial expedition to the historic site in five years. The 26-day journey aboard the Akademik Shokalskiy, carrying 54 passengers, will also raise money for Mawson’s Huts Foundation, which has been maintaining the basic timber structures since 1997 at a total cost of more than $8 million. The Akademik Shokalskiy leaves Constitution Dock Hobart at 4pm this Saturday, January 9, 104 years after Douglas Mawson stepped ashore in 1912 on “a charming ice-quay” – which he named Cape Denison – to establish a “station for scientific investigations”. It was the beginning of a legend that’s grown over time with Mawson’s Australasian Antarctic Expedition one of Australia’s greatest stories of adventure, resilience, desperation and survival. Harsh doesn’t begin to describe their experience in the coldest and windiest spot on earth. 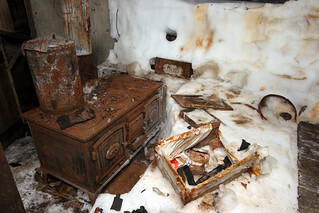 The only remaining evidence of Mawson and his men’s occupation are two connected timber buildings (Mawson’s Huts) that passengers aboard the Akademik Shokalskiy will have the unique opportunity - subject to weather and ice conditions - to enter and explore. “It’s so exciting to be going back after such a long time,” said Chimu co-founder Chad Carey, who will be joining the trip. “As recently as last February, experts were saying the icebergs could stay jammed in the bay for a decade or more but fortunately those predictions have proved incorrect and expedition ships are now able to enter Commonwealth Bay. Mr Carey says Chimu believes strongly in the Mawson’s Huts Foundation, providing it with office space and facilities while donating more than more than $100,000 to the cause over the years. To find out more about Chimu Adventures visit www.chimuadventures.com.au.